The I’m A Celebrity… Get Me Out Of Here! winner told Express.co.uk he had filmed the new two-part programme before heading into the jungle last year. 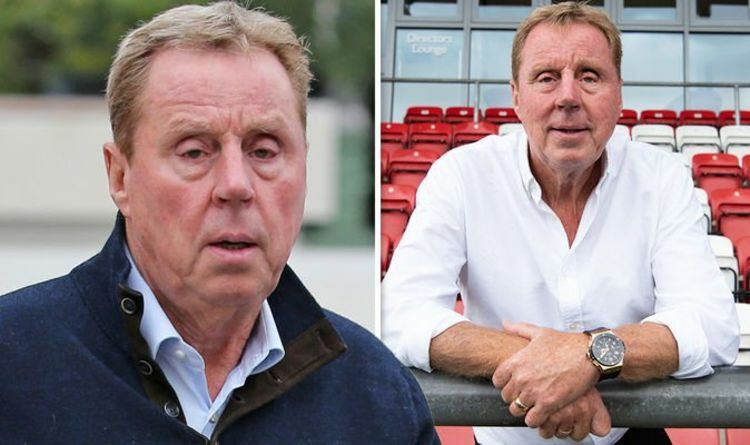 The show will see Harry Redknapp, 72, take the helm as manager of a squad of former footballers, including England legends Mark Chamberlain, 57, and David Seaman, 55, as they bid to lose weight and get fit by getting back on the pitch. With the help of assistant manager John Barnes, 55, Harry aims to get them up to scratch to take on a German team by the end of their training. Opening up about a setback Harry’s Heroes: The Full English faced, the ex-Tottenham manager said: “John was gonna play but he got inured at his son’s wedding. “He got a bad injury, he ruptured his knee ligament and dislocated his shoulder and really made a mess of himself,” he explained. Sounding disappointed John didn’t get to revive his skills on the pitch, Harry continued: “He wanted to lose weight but he couldn’t so he ended up working as my assistant, which was good fun. Harry, who was recently named brand ambassador for BetVictor.com, said he “really enjoyed” his returning to management for the ITV programme. It was all ex-England international, all great players,” he said. “It was great to be around them. “They’ve all come to the end of their careers, all got different lives now. All different shapes and sizes now,” he continued. With the hope to get the former players back in shape, Harry said the squad all got into the spirit of things, adding: “One or two struggled [Neil] Razor [Ruddock] found it quite difficult to lose the amount weight he needed to to get fit. He was really heavy. “But the others, really, a lot of them did very well they lost a good amount of weight, bought into getting fit again. “It’s not how hard you train, it’s what you put in your mouth that decides your weight,” he explained. “That is the key to it really. “You can do all the training in the world, if you’re still eating the wrong stuff you’re not going to lose weight anyway. Harry is currently fronting BetVictor’s #HeyHarry campaign, appearing in adverts on radio and TV. He is also the face of the bookies’ new chatbot feature. “I’ve done a couple adverts and I went to Cheltenham races last week for one day, which was nice,” he said cheerfully. “Nice day out. “If they say, ‘Oh, you’ve got to have a day at Ascot Races,’ there’s nothing I like better in my life than a day at the races,” he added. For more information, visit www.heyharry.co.uk. To watch the first #HeyHarry TV ad click here. Harry’s Heroes: The Full English airs tonight and tomorrow night at 9pm on ITV. 31 Best Red Carpet Looks From the 2019 Fashion Los Angeles Awards Players Say Soccer Chief Sexually Abused Them for Years. He May Still Win.